If a new water heater is in your future, take some time to figure out whether the size of your current heater meets your needs. These pro tips will walk you through the process. Q: Our water heater is on its last legs. I’ve increased the temperature on the tank to its highest setting, but the water coming out just isn’t hot anymore. So, it’s time to buy a new water heater! Our existing tank has a 30-gallon capacity, which was fine when we bought the house 10 years ago, but our family has grown, and we’re now using more water for bathing and laundry. What size water heater do I need? A: It sounds like you will need a larger water heater this time around. And you’re right: More family members mean more water usage. In fact, “the number of users is key for tank-style water heaters because the output is more or less fixed,” explains Daniel O’Brian, the technical expert for online plumbing retailer SupplyHouse.com. 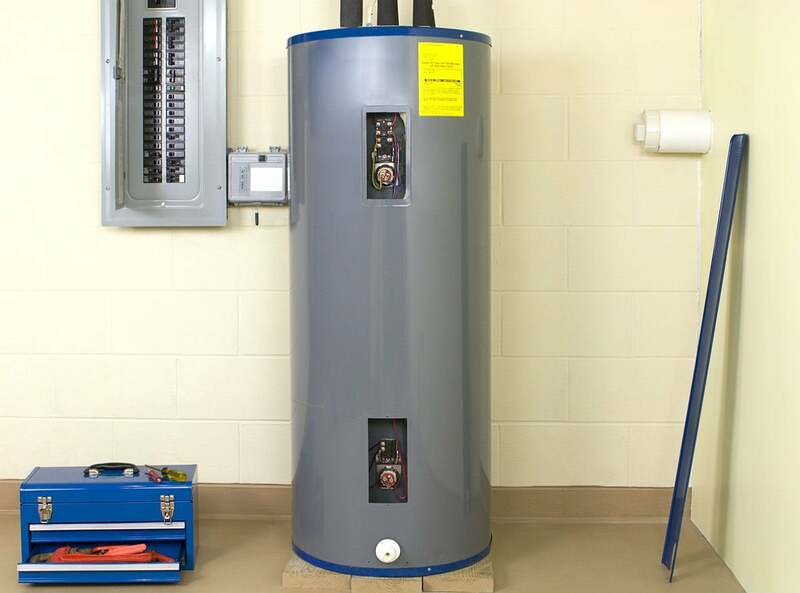 Whether you’re interested in replacing your existing unit with a tank or tankless model, O’Brian has suggestions for determining what size water heater will best meet your needs. For a tank-style heater, household size is a simple indicator of hot water needs. For the average family of four, a 40-gallon water heater like A. O. Smith’s ProLine Power Vent Gas Water Heater (available from SupplyHouse) should get the job done. But it shouldn’t be your only consideration. You can get a more accurate sense of your family’s hot water needs by digging a little deeper. In addition to tank capacity, consider a water heater’s first hour rating. The first hour rating (FHR) describes how much hot water a given tank can produce in a single hour when it’s fully heated. This figure reflects the appliance’s efficiency (how quickly the water heater can reheat the water) and gives an idea of what it can handle at a peak hour of usage. For example, the A. O. Smith 50-gallon ProLine Power Vent Water Heater (available from SupplyHouse) has an FHR of 90 gallons, so it will provide up to 90 gallons of hot water in an hour. You want to look for an FHR that meets or exceed the number of gallons of hot water needed for all the activities that could be performed simultaneously at the busiest point of the day. Use the numbers below to help you estimate peak hour usage and determine the ideal FHR. If a larger tank won’t fit in the existing space, consider a tankless heater. Thanks to their lack of a hefty storage tank, “tankless heaters, which are normally wall-hung, can fit in tighter areas,” O’Brian explains. For example, a 50-gallon tank water heater can be as much as six feet high and 22 inches in diameter. But a tankless option with comparable output—for instance, the Takagi Tankless Natural Gas Water Heater (available from SupplyHouse)—is just 20 inches high, 14 inches wide, and less than 10 inches deep. If space is limited, a tankless water heater may be the way to go. To select the right tankless water heater, estimate the necessary flow rate based on hot water usage and the required change in temperature. 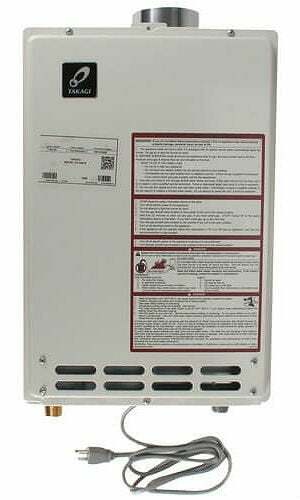 Tankless water heaters do not store hot water. Instead, they heat it as it’s needed. “Flow rate is the key spec when sizing a tankless water heater,” O’Brian says. The following information will help you estimate your family’s flow rate needs. 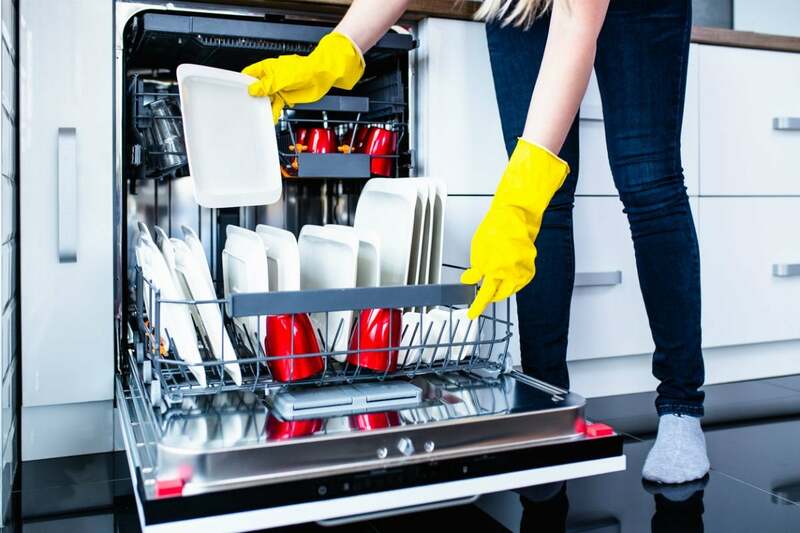 For example, if your peak usage occurs after dinner when you’re running the dishwasher and taking a shower at the same time (3 gpm + 2.5 gpm), you’ll need a tankless water heater with a minimum 5.5 gpm flow rate. Next, determine the temperature of the water entering your house. Simply turn on a cold water faucet—let it run for a couple of minutes—and then use a thermometer to take the temperature of the cold water. Subtract the cold water temperature from 110 degrees Fahrenheit (the average household hot water temperature) to determine the required temperature rise. For instance, if the cold water temperature is 65 degrees Fahrenheit, the water heater will need to heat the water 45 degrees Fahrenheit in order to reach 110 degrees Fahrenheit, so 45 degrees Fahrenheit is the required temperature rise. Adjust the flow rate by the required temperature rise. “All units should have a chart that indicates the flow of hot water at various temperature rises,” O’Brian says. For example, the Takagi T-D2-IN Natural Gas Tankless Water Heater (available from SupplyHouse) offers a maximum flow rate of 10 gpm—the operative word being “maximum.” In a warm climate where a temperature rise of only 20 degrees is necessary, the Takagi has an efficient flow rate of 10 gpm. If you need the water heater to raise the water’s temperature by 45 degrees Fahrenheit, however, the flow rate falls to about 7 gpm, as indicated on the manufacturer-provided flow rate chart. For a more visual explanation, check out this SupplyHouse video on sizing tankless water heaters.